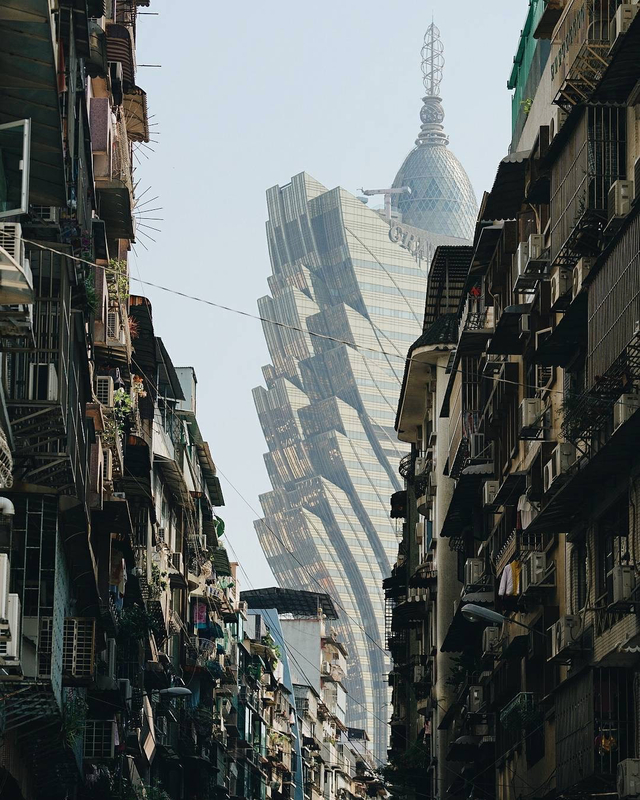 The Grand Lisboa Hotel viewed from the alleys of Macao. Designed by Hong Kong architects Dennis Lau and Ng Chun Man, the hotel has 430 rooms and has been open for a decade. It is the tallest building in Macau and forms the most distinctive part of the city skyline.